Hello all and welcome to my crafty to blogg. 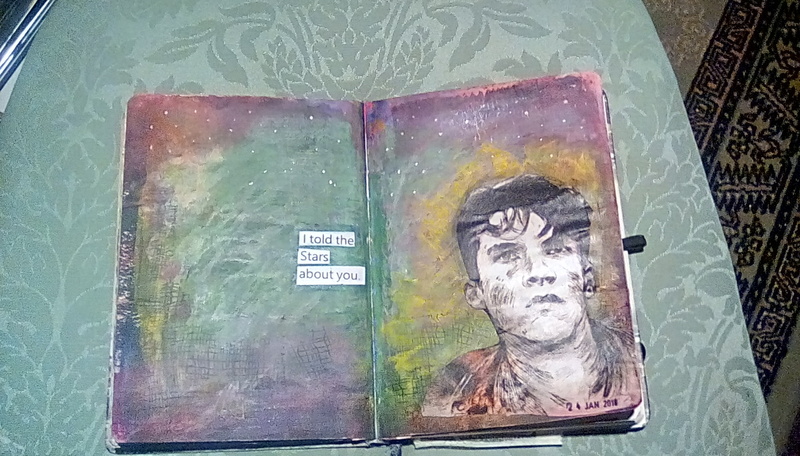 Another quick post of a journal page just completed today. Using newspaper cutouts, acrylics, inks, Gelatos and crayola markers I created the page before I found a suitable quote. 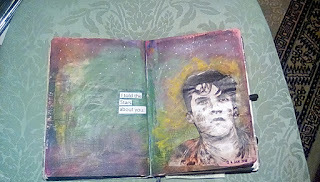 Just love art journaling. Like I said before, this process is great for letting the creative juices flow. Thanks for dropping by and visiting. Your time and comments are appreciated.